This recipe bakes to a rich, buttery, melt in your mouth cookie. 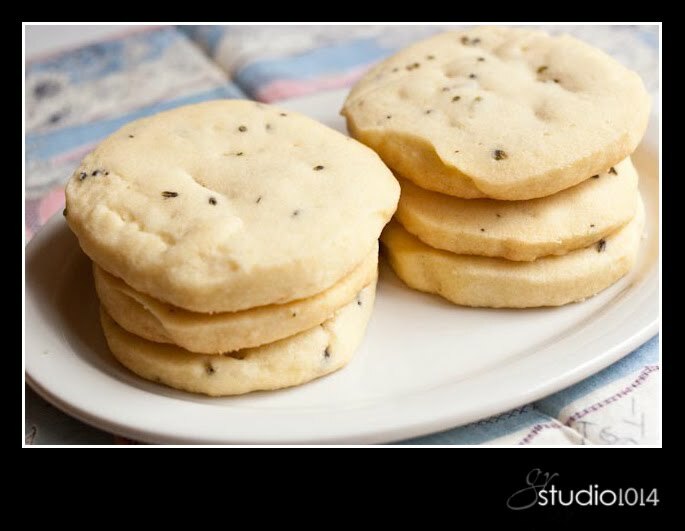 Add to that combination a hint of lavender, and the creation is a cookie that’s simple, yet sophisticated in flavor. The mixing, chilling, and baking process is simple. In the future, I will chop the lavender before adding it to the cookie dough. You will notice lines/indentions in the cookies. While slicing the cookie dough logs, the knife pulled the lavender buds, and formed unattractive lines on the surface of the cookies. Though not perfect in appearance, these cookies are outstanding in flavor. 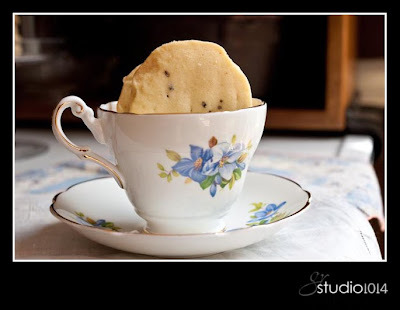 I’ll add this cookie to my classy ‘tea-time’ cookie list along with the Rose Water Almond Tea cookies which were adapted from the blog Baking Obsession. You can find the recipe for the lavender shortbread at the blog Dessert First. Penzey’s stocks the culinary lavender; however, they do not display the lavender on the retail store shelves. Ask the ladies in the store for lavender; they probably have a few bottles in the storeroom. 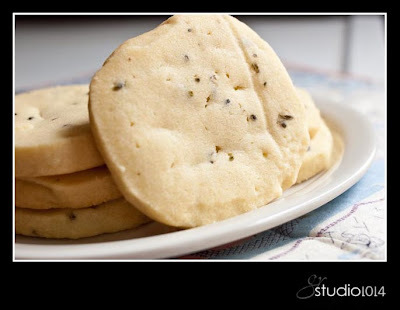 This entry was posted in culinary lavender, lavender shortbread, shortbread by galereeves. Bookmark the permalink. yum! i can't wait to try this. i had my first lavender shortbread cookie at a cafe here in madison, wi about 6 months ago. loved it, but this looks even better.